Then, as you can see above, we roll the dough out into a long rope, 24? long. We set out the tape measure to make sure we’re getting the dough to the right length, because you want an ample amount to work with for the twist and we like the pretzels to be fairly uniform. 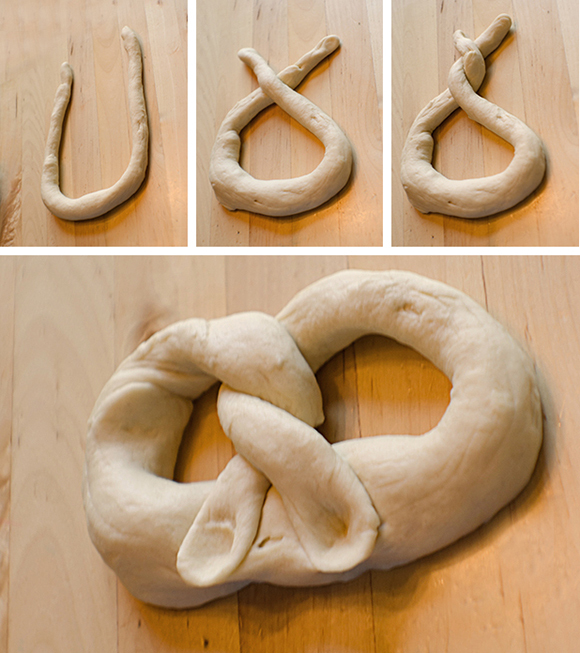 Twisting your pretzels is really easy, and is actually kind of fun. This is a great part for kids to get involved with because it’s akin to playing with play dough, and they end up being really proud that they made something that actually looks like a pretzel! Just form your rope into a U shape, cross the ends once, and then cross them again. Fold the twist down over the bottom part of the U and slightly press them to help them stick. Voila! Beautiful pretzel shape. 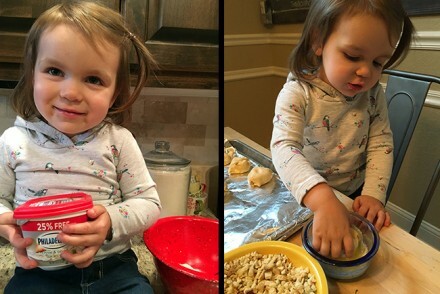 Our kids even like to get in on the pretzel-twisting action (or if you want, you can cut the dough into 1″ nibs that are great, too). Before you bake the pretzels, an important step is proofing them to get a great golden crust on the outside of the dough. Proofing means putting each pretzel into a pot of boiling water with baking soda; you’ll proof each pretzel for about 45 seconds and then put it back on the baking sheet. Many pretzel recipes call for brushing the dough with egg yolks before baking them, but we like to use butter. Because butter, like bacon, makes everything better. Sprinkle them with some kosher salt and you’re ready to get these in the oven! We made a warm cheese dip to go alongside the pretzels – it’s gooey and creamy and has a great flavor from the addition of garlic and beer (I say this as a person who hates the taste of beer on its own). 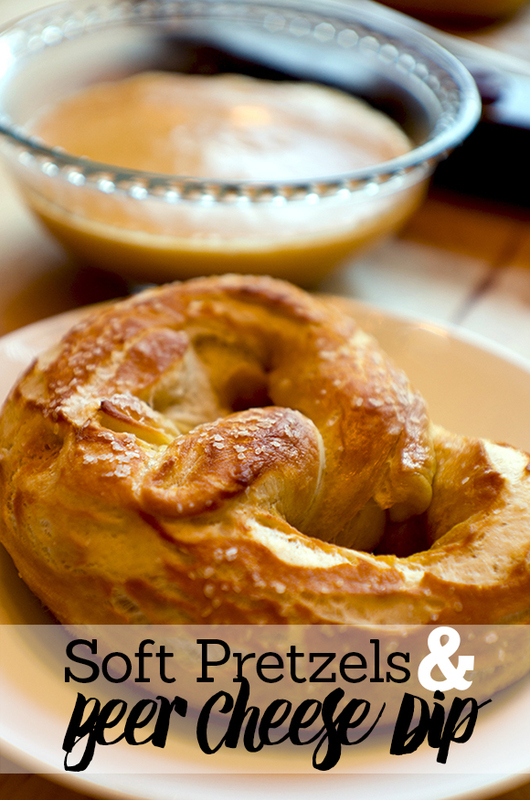 I’ll share the recipe with you below, but the pretzels are awesome on their own so the dip is just the icing on the cake. Or, um, the cheese dip on the pretzel. If you’ve never given pretzel-making a try, I hope this will encourage you. 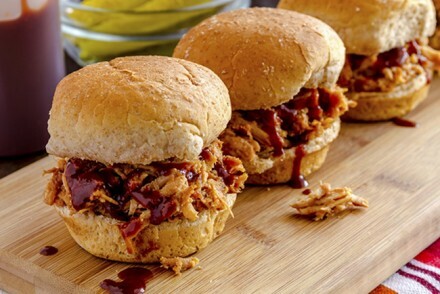 You’ll want to make these again and again – they’re that good. In fact, I think I know what we’ll be doing on Saturday. In your mixer’s bowl, combine the water, sugar, and salt. Stir until the salt and sugar are dissolved. Sprinkle the yeast on top and let it sit for 5-7 minutes (you want it to look like it’s slightly foamy). Add flour ½ cup at a time until a dough starts to form and the flour is well-incorporated. Pour in the ¼ cup of melted butter (save the other 3 tablespoons for later) and continue to mix for 5 more minutes. If your dough seems too sticky, add flour one tablespoon at a time until the dough is smooth and also pulls away from the sides of your mixing bowl. Pour 1 teaspoon of olive oil over top of the dough and use your hands to spread it around evenly over the surface of the entire ball of dough. Cover the dough in the bowl with cling wrap and place in a warm spot for one hour – the dough should rise and be about double in size. While the dough is rising, preheat your oven to 450 degrees. Bring water and baking soda to boil in a saucepan on the stove. 8-10 cups of water should be plenty. Divide your dough into eight even portions. 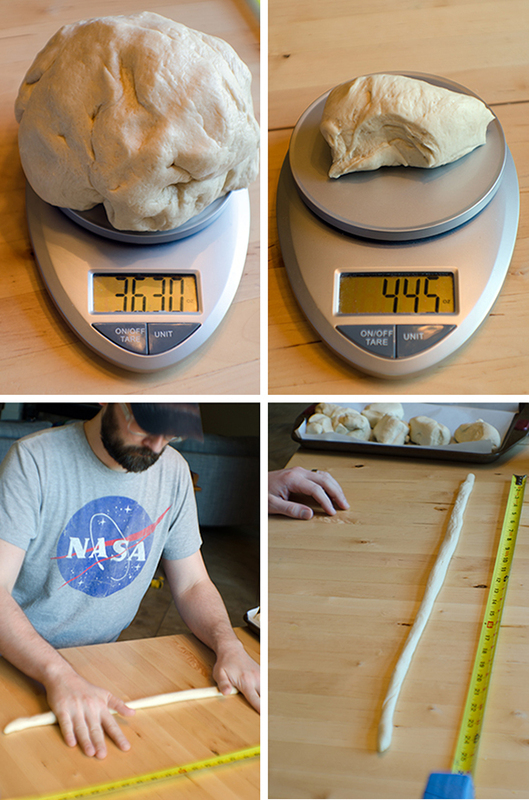 Roll each piece of dough into a rope about 24 inches long. Make a U-shape, then cross the ends of your dough twice and fold them over (see pictures in the Food&Fam post for an example). Once all your pretzels are formed, place them each one at a time into the boiling water for 45 seconds to proof them, making sure all sides of the pretzel are submerged. Place each proofed pretzel onto a baking sheet (4 to a sheet). Brush the top of each pretzel with melted butter and sprinkle with kosher salt. Bake pretzels until golden brown, typically about 12-15 minutes. Mix cheeses, flour, salt, and pepper in a bowl. Set to the side. In a medium saucepan, heat beer and minced garlic over medium-low heat until the beer is simmering. Very gradually add the cheese mixture into the beer. Add a small handful, then stir until it is fully melted before adding more. 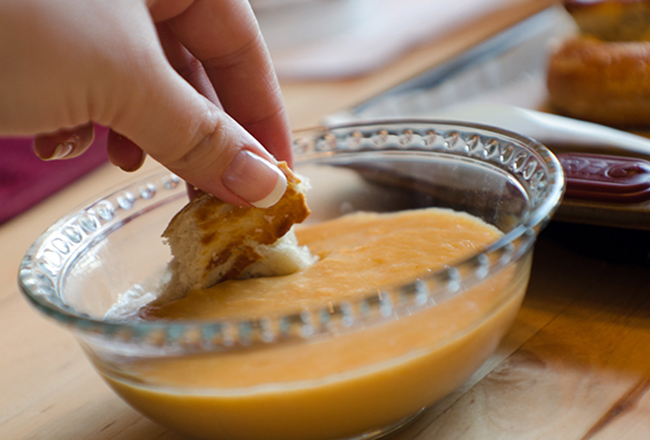 This will help the cheese incorporate smoothly into the dip. Once all the cheese is melted and your dip is smooth, stir a dash of hot sauce (not salsa; this should be a smooth hot sauce like Tabasco or Louisiana hot sauce) into the dip. If you’d like your dip to be thinner, add cream or milk one tablespoon at a time until it reaches your desired consistency.